OEMs have tried a few times to make Android work in the notebook form factor, but the closest anyone has gotten is the Transformer line from Asus. Those are tablets first, though. The HP Slatebook 14 is a straight-up laptop running Android, and it's starring in a video demo posted by HP. 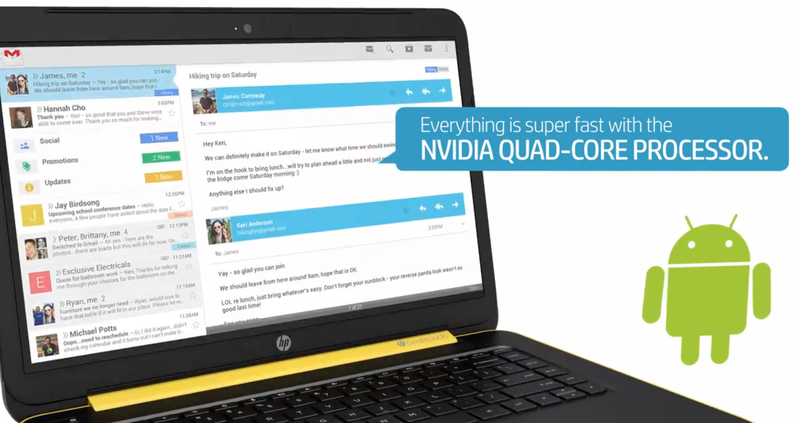 Update: It looks like HP wasn't ready to spill the beans quite yet. It pulled the video from its site for the time being. 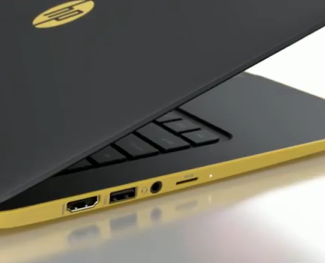 There's no way to know when this device will be announced, but the video has been posted on HP's video page – so it's a real thing. 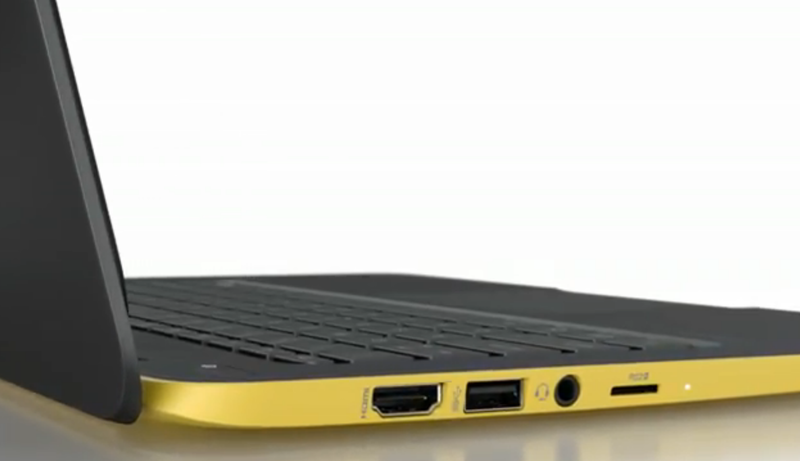 Full specs aren't available as of yet, but the video lays out the main points. 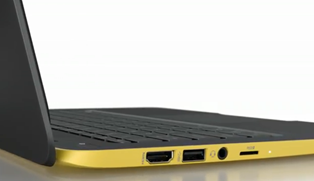 We're looking at a 14-inch full HD touchscreen (probably 1080p, then) with a microSD card slot, HDMI port, 3 USB ports, and audio jack. 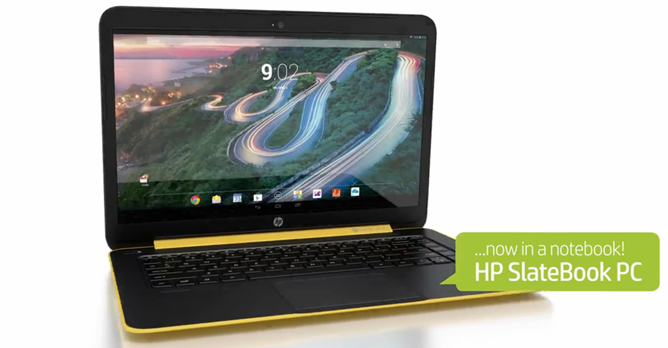 The keyboard is the same you'd find on HP's Windows offerings, but with some keys repurposed for Android functions. The exact Tegra chip inside isn't specified, so it's either Tegra 4 or Tegra K1. The latter would obviously be more exciting, but I feel like the video would make a bigger deal of that. This appears to be a full Googley version of Android with all the Play services built-in. The underlying version is not apparent, but the app drawer still has a widget tab and the status icons are blue. That indicates we're looking at some version of Jelly Bean, not KitKat. 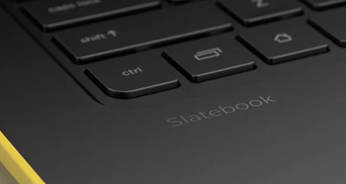 Design-wise, the SlateBook 14 actually looks pretty nice with a snazzy yellow frame and large trackpad. 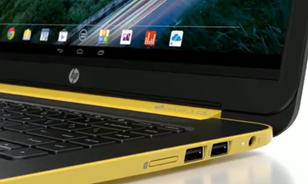 We'll have to see what HP has to say about this device when the time comes.